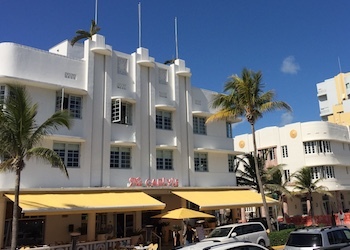 Tours conveniently depart from the Art Deco Welcome Center on Ocean Drive, right in the heart of the district and are led by architects and historians (mostly volunteers) that have an obvious passion for our city's revival and design trends, past, present and future. You get to explore the different styles found throughout the District, including the interior of buildings representative of such styles and trends. The tour lasts 90 minutes, bring drinking water and sun protection, specially in the summer months. When? 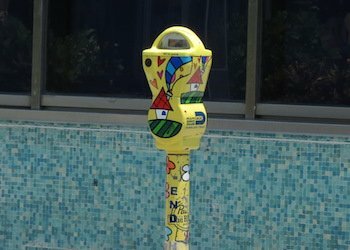 : Every Day at 10:30 a.m., additional evening tour on Thursdays at 6:30 p.m.
Reservations are not required you can simply show up. 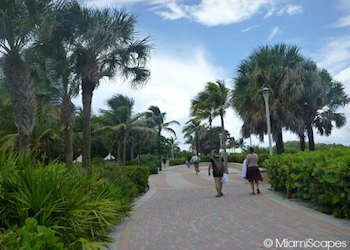 Also an official walking tour offered by the MDPL. You get a pre-recorded tour on an ipod nano, how cool is that, and a map pointing out the route and 14 stops of interest. 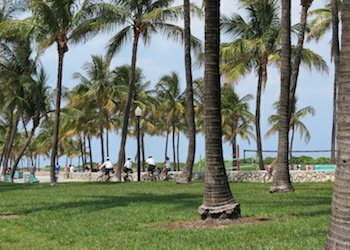 We really like this option as you get to go at your own pace and take little detours for a refreshment here, window shopping, people watching, lunch in between, or even a dip in the water to cool off. They recommend taking a minimum of 90 minutes to complete the round. 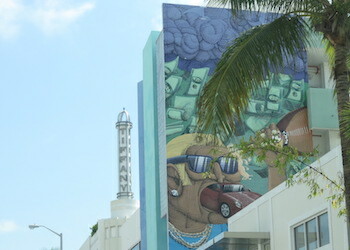 We took a detour and walked further north towards Española Way where we stopped for lunch, then on a bit futher to the Lincoln Road Shops and then "rejoined" the tour again. Although having your own expert guiding the way is probably best for the real design and architecture lovers out there, I found this self-guided tour quite practical, full of information, more than some people might need actually, and really enjoyed the flexibility. 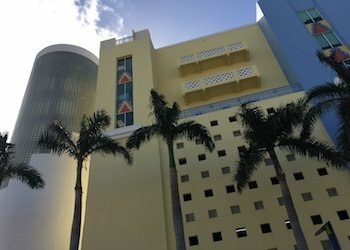 You start your tour at the Art Deco Welcome Center where you pick up the map and ipod. You will need to leave some ID as "deposit" which will be returned when you bring the ipod back. I also recommend taking some time before you set off exploring to read and study the map and information you receive, specially the "Selected Glossary of Art Deco Terms" on the pamphlet which gives you a very good introduction of what to look for as you walk around. 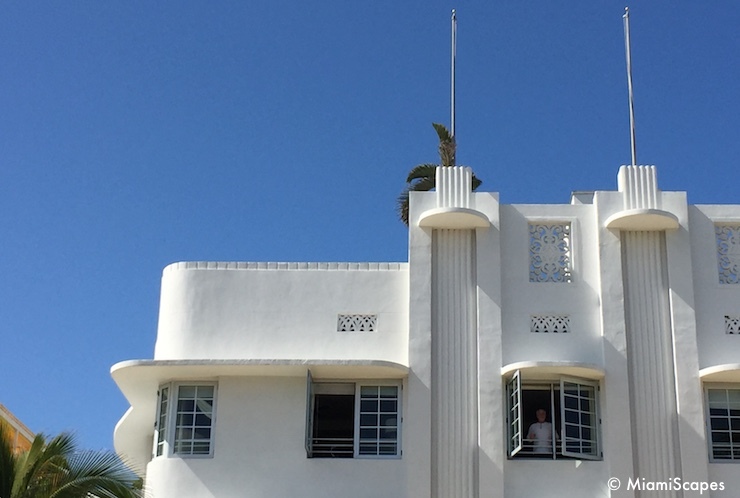 How about just a nice leisurely walk at your own pace to enjoy some of the beautiful art deco buildings? 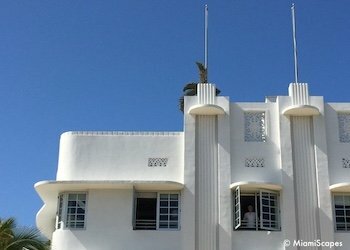 Check out our DIY Art Deco District Walk, it is like strolling on an open air museum you can take as little or as long as you wish. 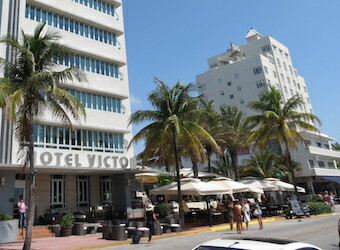 The district is a compact area where you can find some fine examples of Art Deco. 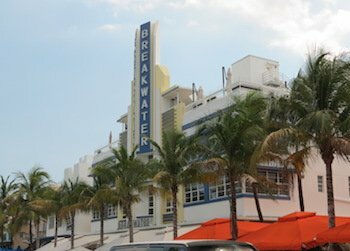 The simple DIY walking tour will take you first through the properties along Ocean Drive north of the Welcome Center, then head inland to take a look at the gems on Washington and Collins Avenues, and finally circle back to Ocean Drive and the art deco buildings south of the Welcome center where the walk ends. There are pictures and a handy map, enjoy! 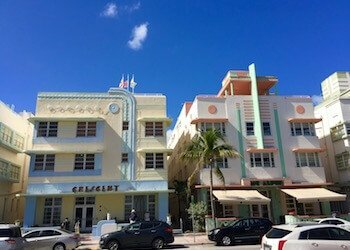 This one is a lot of fun, not only a great introduction to the Art Deco District but also the main highlights of Miami Beach while enjoying the outdoors and the city's most spectacular views with stops at some of the favorite local hangouts. 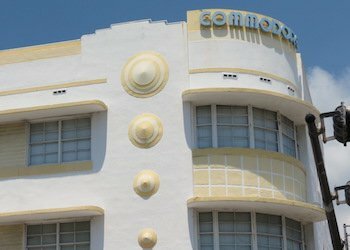 This tour gives you a broad overview of the Art Deco District, some interesting facts but no in-depth coverage as the MDPL tours above. But it is definitely a fun way to get your bearings and cover a little more of the area. Fun for all ages and fitness levels, an easy ride. 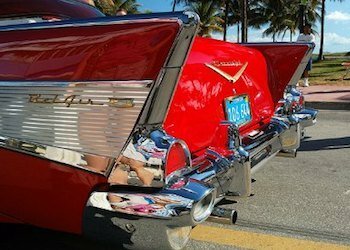 The tour lasts approximately two-and-a-half to three hours and covers the highlights of South Beach including the Art Deco District, Ocean Drive, the Bass Museum of Art, the Holocaust Memorial, Versace Mansion, Lincoln Road Mall... You certainly cover a lot more area with this tour in a short time and is a great way to sightsee. 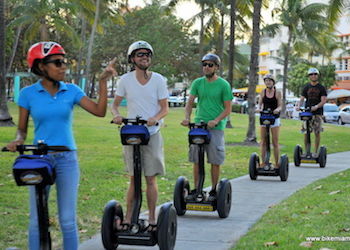 We took this tour, you can see what to expect here, it was our first time on a Segway and a fantastic time. Who? : Segway participants must be at least 12 years old and 100-260 lbs (45 kg-117 kg), not suitable for pregnant women. 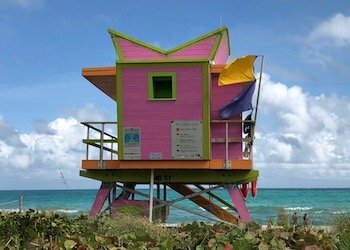 This is a great and fun way to enjoy two of South Beach's top attractions: the iconic styles of the Art Deco District and the many fascinating cuisines that this melting pot of cultures offers. 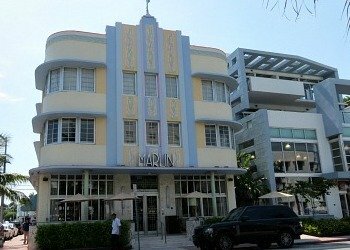 You start by walking through the historical and architectural highlights of the District with a small group and guides that share their knowledge and contagious enthusiasm for this corner of Miami. And along the way, you also get a chance to try the different flavors of the area, there are some five stops at locally owned restaurants that will give you more than a taste of the region and mesh of cultures. 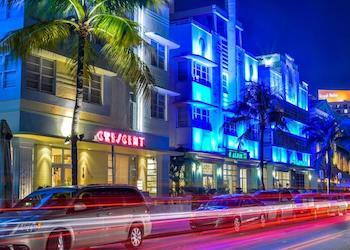 Try some Cuban, Argentinian, Brazilian, Mediterranean, Ice Cream French Miamian fare! 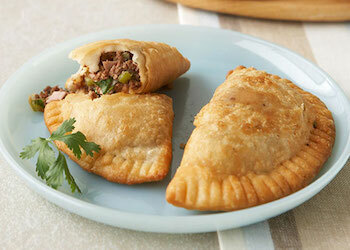 It's definitely good value for money, and if you don't know your empanadas from your patacones, this tour is the perfect introduction so you can explore the many restaurants and kitchens later on during your stay.